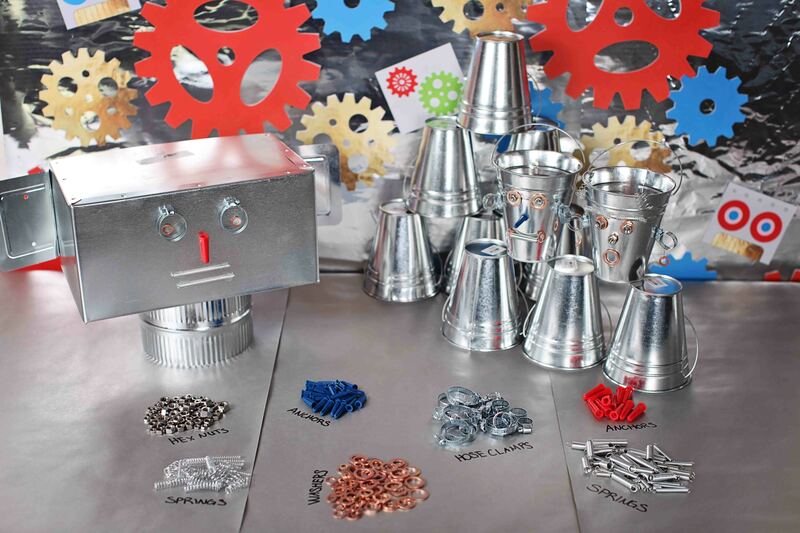 Boy’s Birthday Party Ideas: Robot Birthday! 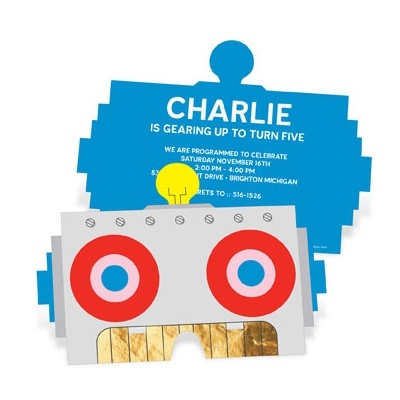 For my son’s sixth birthday we decided upon a robot theme after seeing the great robot mask birthday party invitations at Pear Tree. 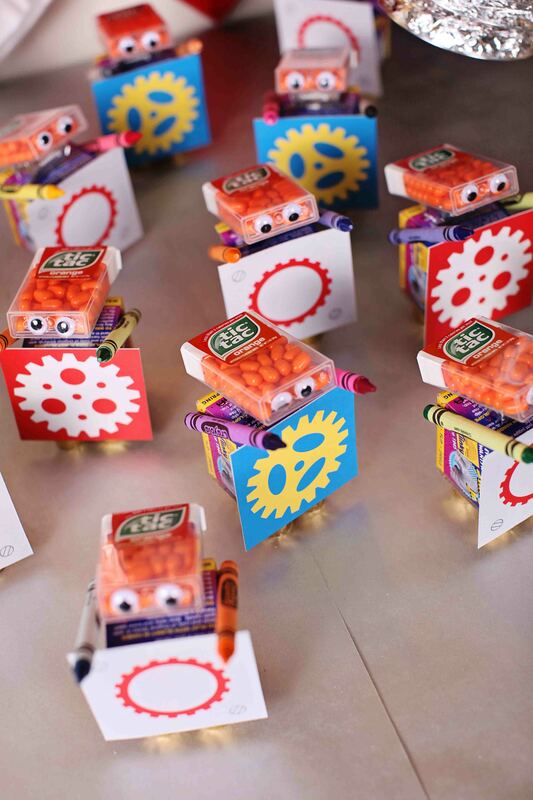 My son is a Kindergartner this year, and his classroom theme is all about robots, so he thought it was the perfect birthday party idea for his friends! 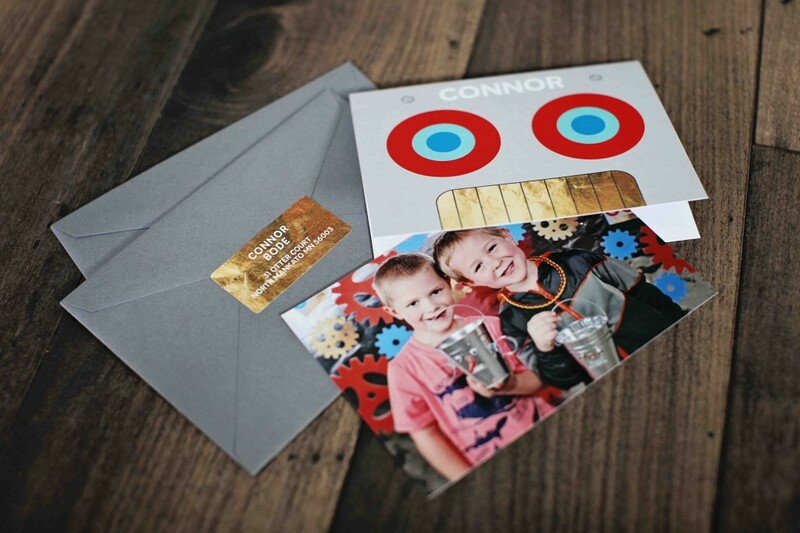 My ‘vision’ for this party was to use lots of metallic and shiny materials, combined with the bold colors from the invitation. Since I’m a photographer, I always have to incorporate a photo booth into my party decor, which is not only a fun activity for the kids but also ensures that I’ll have some photos to remember the event when it’s over! 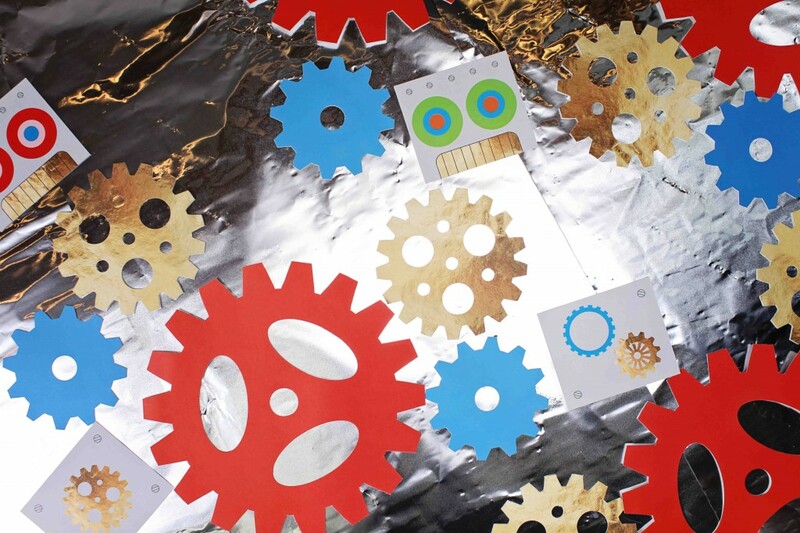 We made a photo booth backdrop out of tinfoil, (yes, tinfoil! 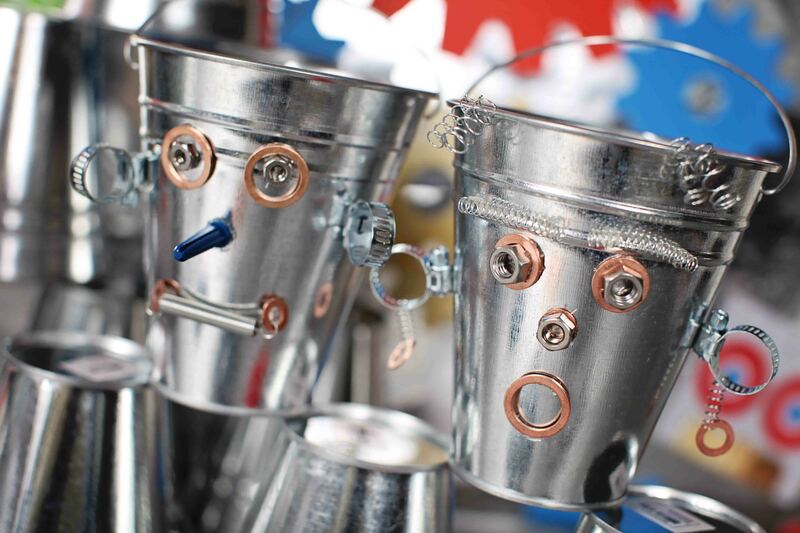 ), and covered it in cutout gears that matched the invitation theme. I then added some table décor pieces from the Pear Tree collection. It was definitely shiny and fun! We ordered a few extra invitations to use as photo props and attached wooden skewers for holders. 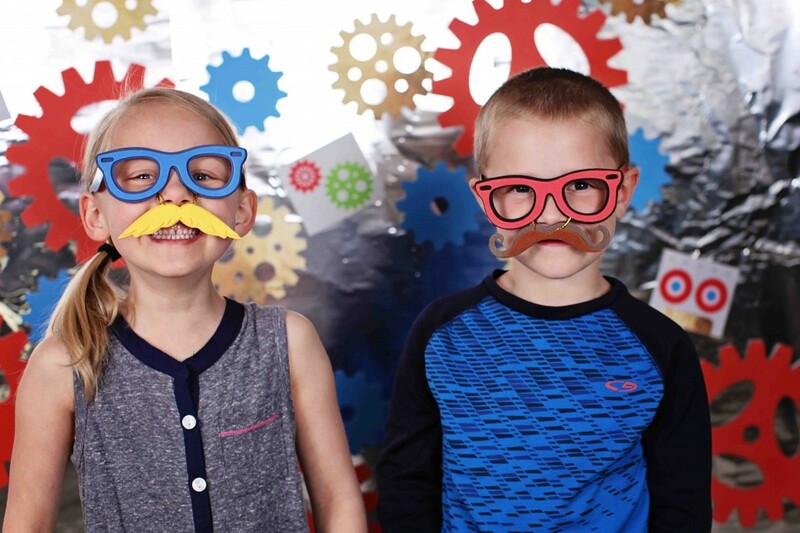 I also found a kit at Target to make silly ‘geek’ glasses with mustaches, so we made a few to use as photo props. Lastly, I wanted to make sure my son knows how important it is to send thank you cards, so I try and make them fun! 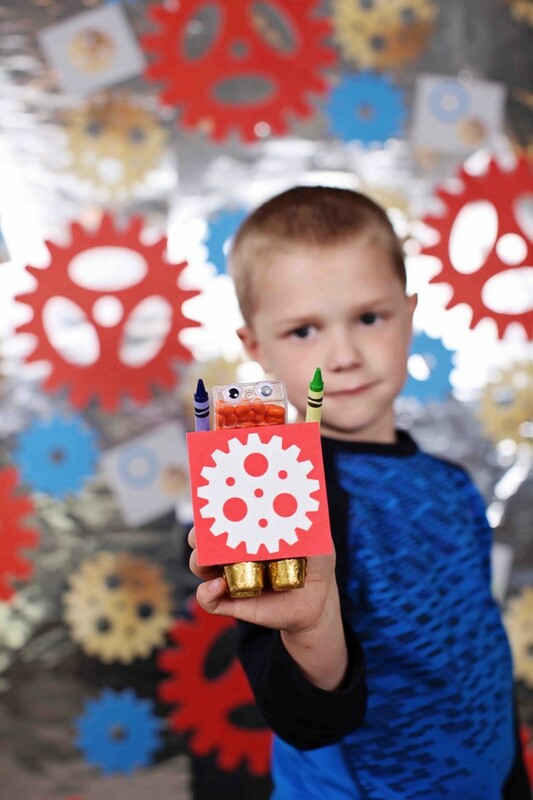 We took pictures using our fun photo backdrop of each boy at the party with their robot creation, and each boy received their photo enclosed in their Robot Party Thank You Card. 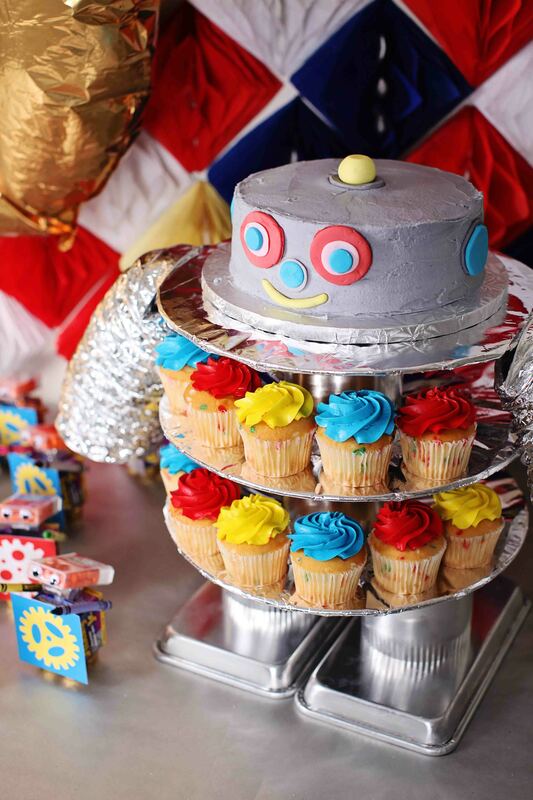 I hope you love these boy’s birthday party ideas as much as I did. It was a lot of fun to plan, and the boys had a blast! 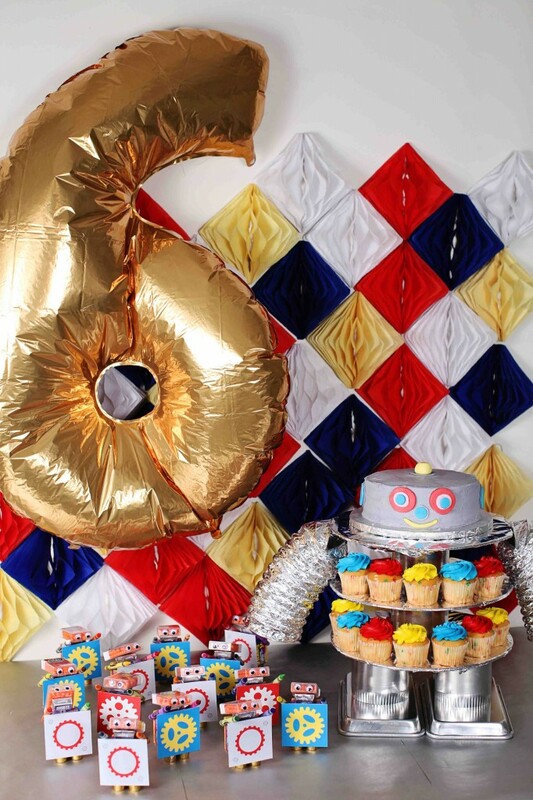 For kids birthday invitations and party decorations, be sure to visit Pear Tree! ← PreviousNew Photo Wedding Invitations! 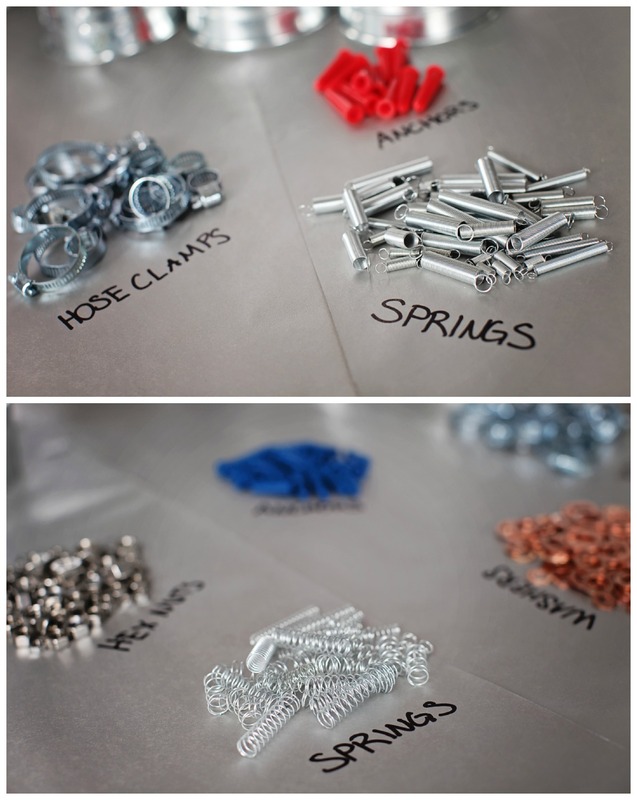 How did you make the bolts and nuts for the photo booth? 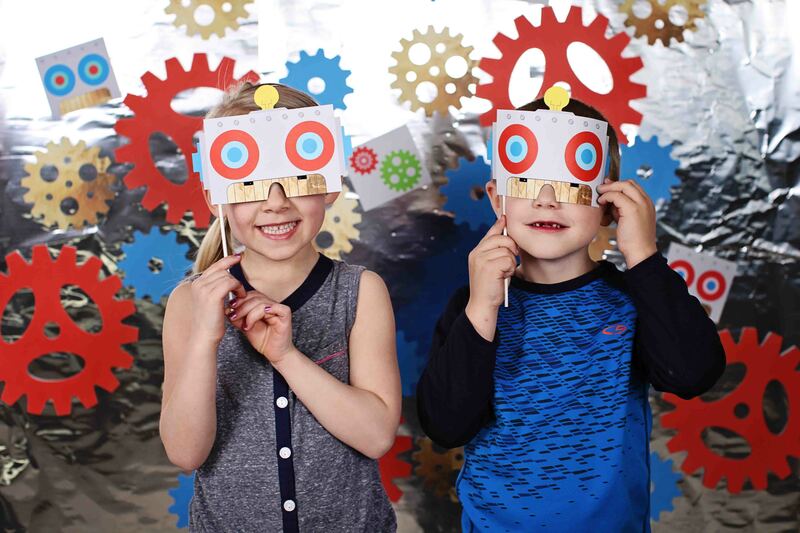 Tryin to recreate your photobooth backdrop for our school stem night.